Do you like Irish Whiskey? Are you hosting an event, perhaps a Saint Patricks Day Party? If so, I have the perfect drink for you! The Irish Mule recipe is one of my absolute favorite drinks! 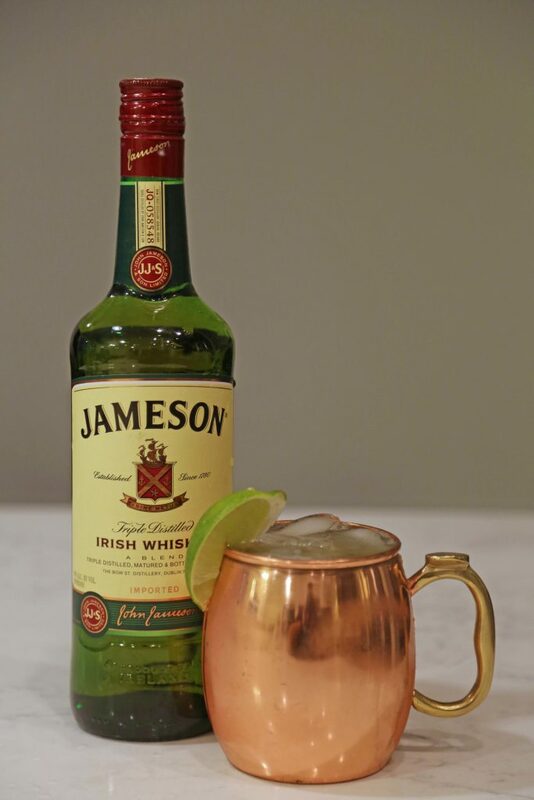 Also referred to as a Jameson Irish Mule Cocktail, It is easy to make and it is easy to have the Irish Mule Ingredients on hand at any time. I personally like to put this drink into a chilled copper mug and garnish with a lime wedge. Be warned, this drink goes down very, very, very easy and it is hard to stop at just one. Take a chilled copper mug and fill with ice cubes. 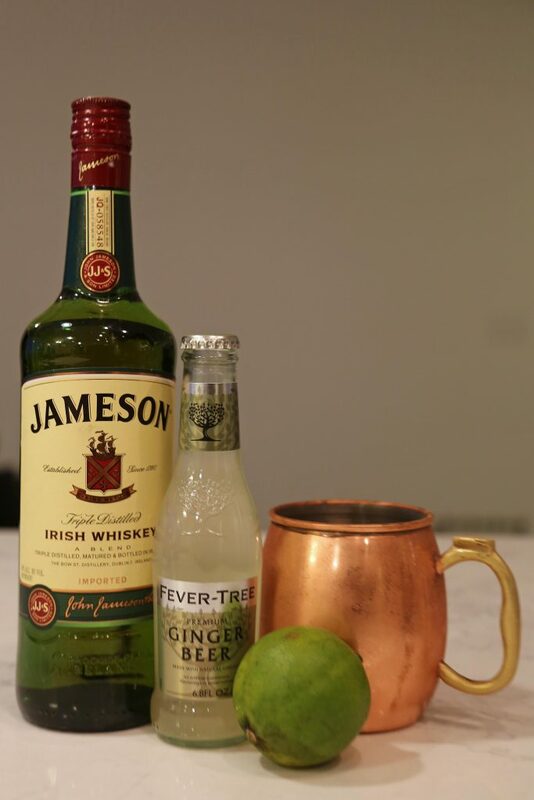 Pour the Jameson and lime juice into the copper mug then top off with your favorite ginger beer. Add a lime slice as a garnish and enjoy! Are you looking for more Irish Drinks? Make sure to check out these great cocktails too! 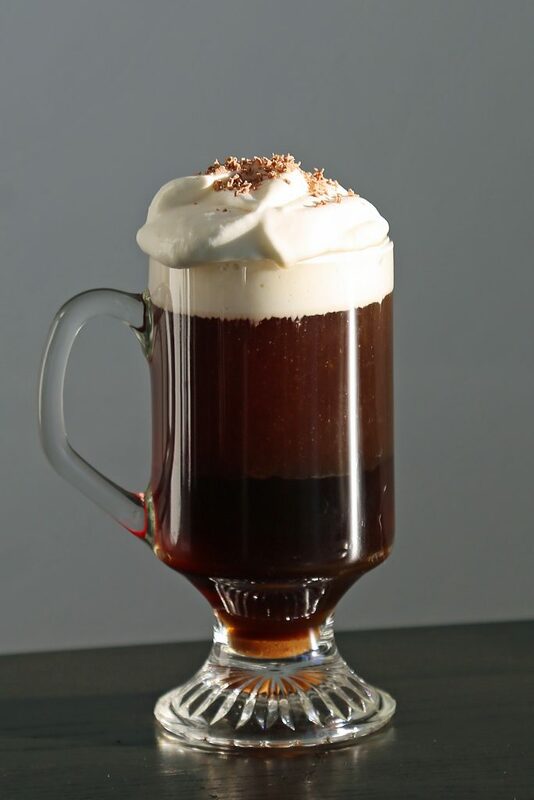 The Perfect Irish Coffee Recipe! How about a couple recipes to go with these great drinks? 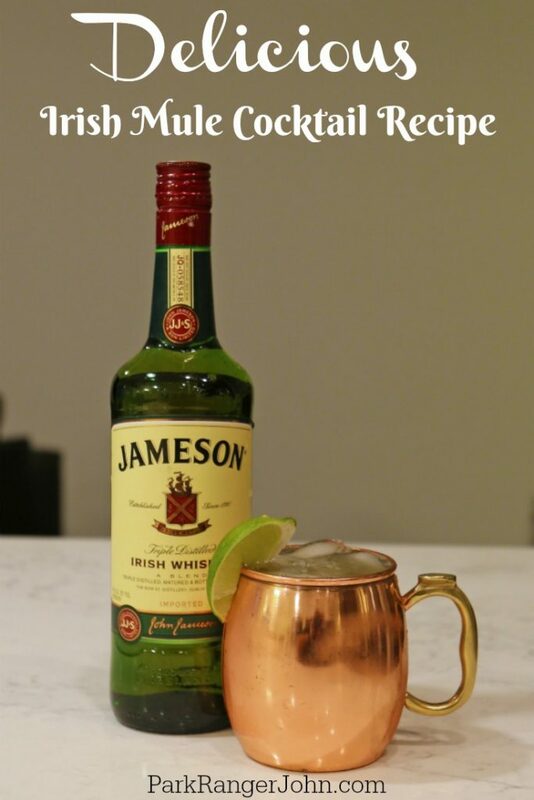 Make sure to visit ParkRangerJohn.com for more great recipes like the Irish Mule Recipe!